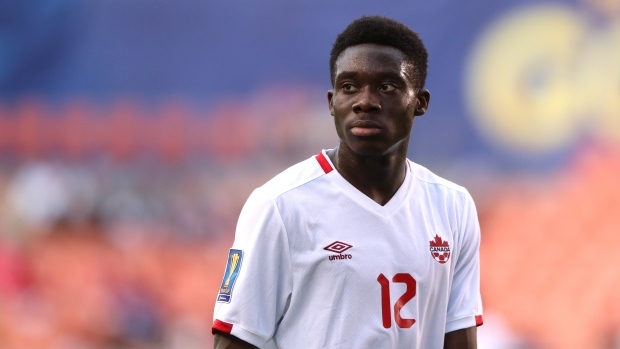 Canadian soccer superstar Alphonso Davies will miss Sunday's Gold Cup qualifying game against French Guiana with a knee injury, Davies club team Bayern Munich announced Wednesday night. The 18-year-old suffered the minor setback during Sunday's Bundesliga game against Mainz. Canada coach John Herdman said Davies "felt something" while celebrating his first goal for Bayern Munich in that game.